Finding a real estate agent in Bridgeport, PA to help with buying or selling a property can make the difference between a traumatic and smooth sailing move. 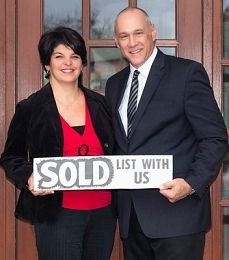 Particularly when looking to sell a house fast, a professional realtor or property agent can be beneficial. While the real estate agent fees can sometimes be pricey, it is important to ensure your Bridgeport broker is licensed and registered to avoid penalties and extra charges. Individual property agents as well as realty companies are listed on the national real estate agent directory to enable you to easily find a Bridgeport realtor to help buy a home or property. From mls listings to help with calculating a mortgage, you can find information on a wide range of subjects related to real estate. Don't forget to ask the estate agent you use about deals they have with home improvement companies. Navigate or browse below for a full list of residential and commercial real estate agents to assist in buying, selling or renting your home.